The artwork is part of the InspiredLR mural project, an initiative of Downtown Little Rock Partnership's Public Spaces committee. Mac Murphy of the M2 Gallery is curating the project, which will span multiple artists and multiple locations on Main Street. LITTLE ROCK, Ark. 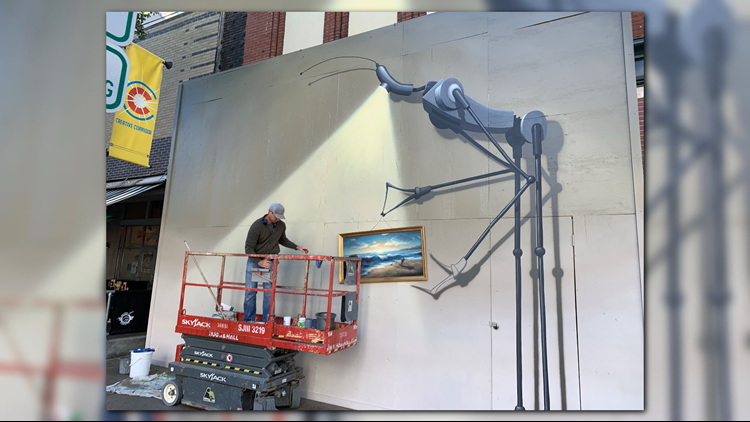 (KTHV) - A new art mural is currently in production on Main Street in downtown Little Rock. Artist Jason Jones is painting a large piece titled “Street Gallery” at 304 Main Street, between Soul Fish Café and CJRW. More information on the project and how one can help with it can be found, click here.